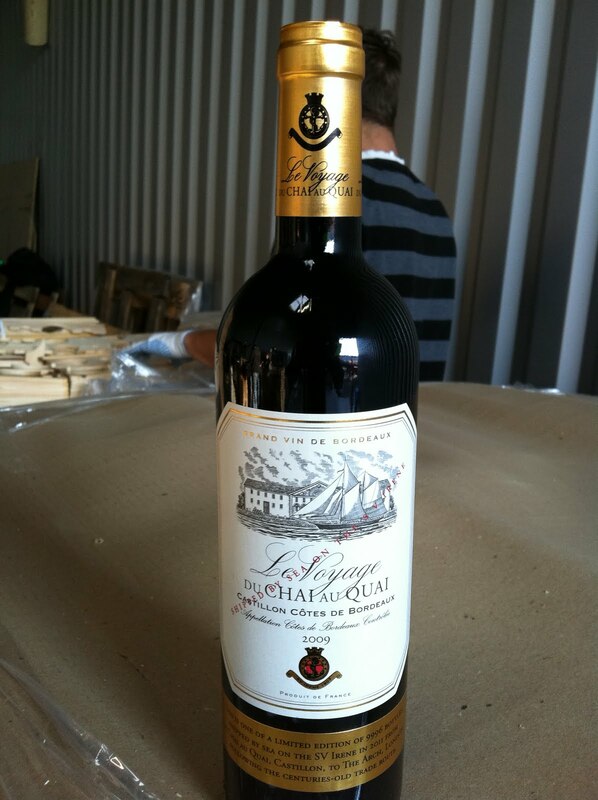 Le Chai Winemakers: One for the road ... or should I say the sea! Tomorrow, I set sail for London aboard the good ship ‘Irene’. Normally when I travel I’d be worrying about what to pack … how many pants, socks, shirts? Will it rain? (Which jacket?) Will there be a heat wave in February? 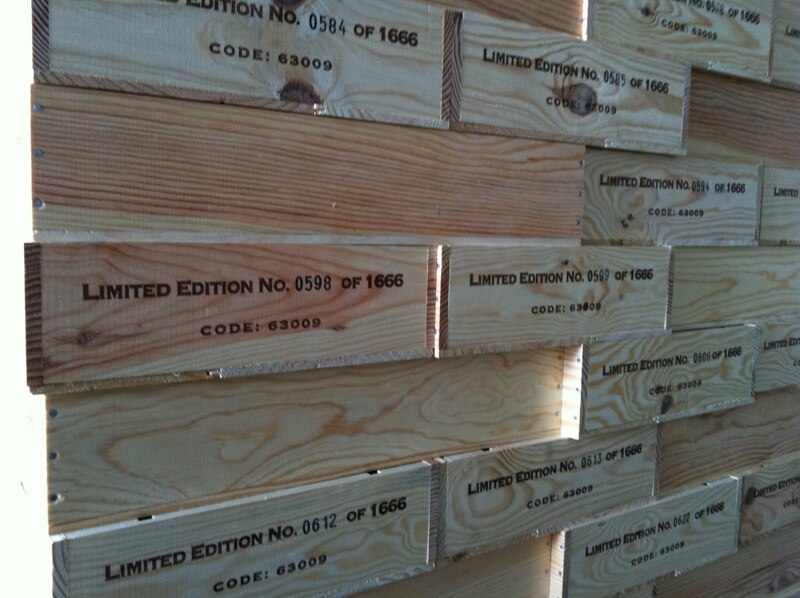 (Pack shorts, just in case …) But this time I’ve got to worry about packing something else much more important: 833 cases (or more specifically, 1666 half-cases) of the 2009 ‘Le Voyage’ wine! 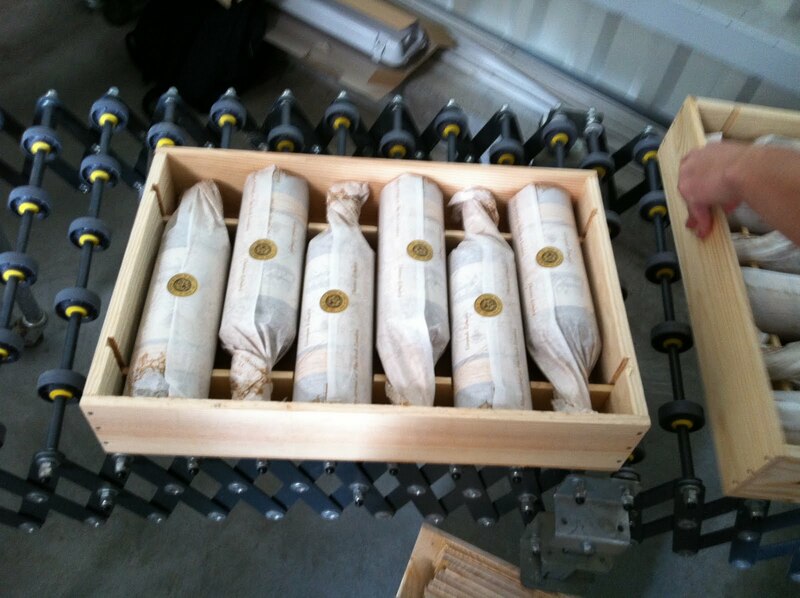 Yesterday saw the wine dressed with label, paper wrapped, sealed and wooden boxed ready for the trip. For me, this is a real start-to-finish wine. I harvested the grapes back in September 2009, watched daily the ageing in barrel, bottled the wine and now I’m actually taking it to the customer! Just have to do the pouring on arrival and I think the job will be done. 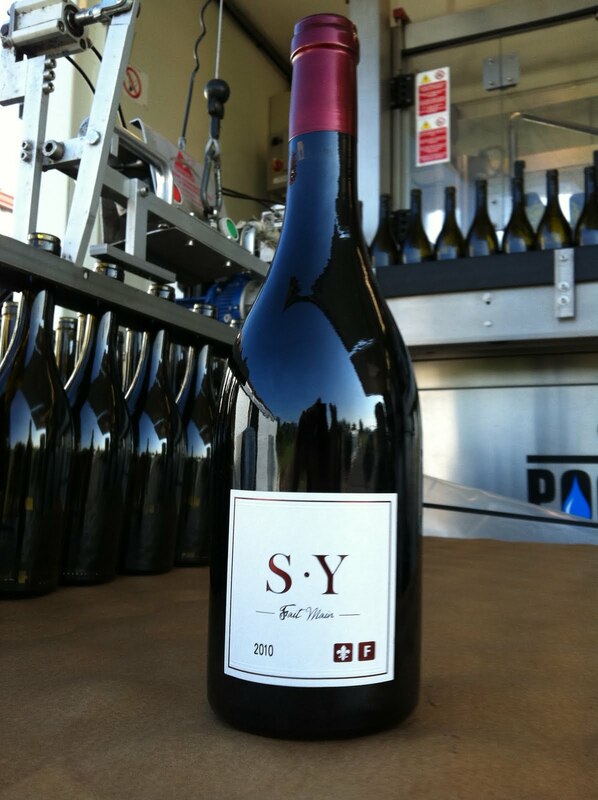 Bottled the 2010 SY today … a lovely little VdP d’Oc Syrah from the Midi. It’s a great wine to enjoy and drink now and I’ve kept it simple; just the like wine they serve at lunch down in the Midi. It has a deep colour and oodles of ripe black fig fruit with that classic ‘olive noir’ and ‘garrigue herbs’, so typical of the Midi. 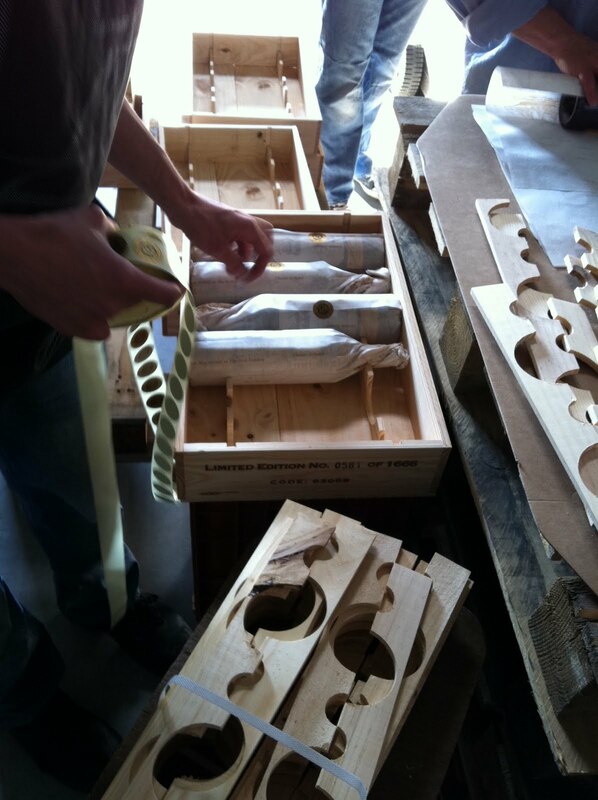 I think I’ll sneak a few bottles on board to remind me of the Midi! 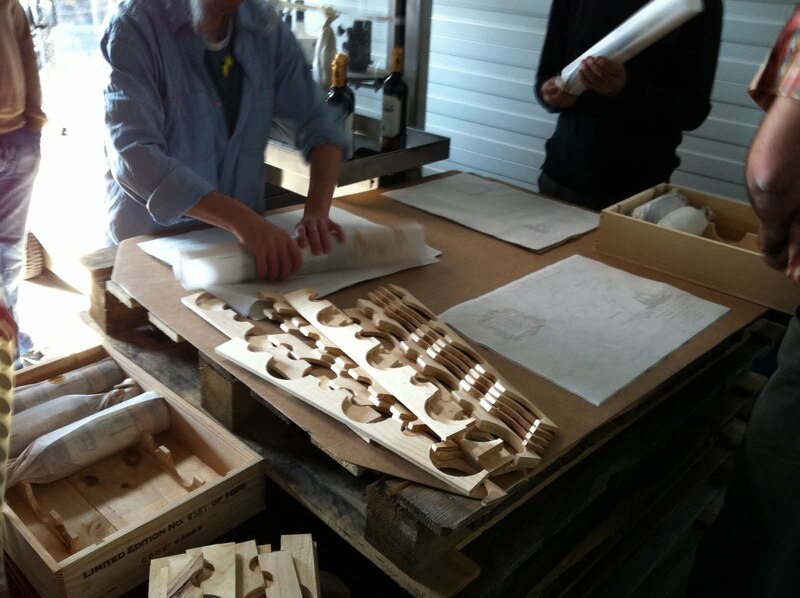 I will be blogging and keeping everyone informed of our progress, plus, technology permitting, you can follow the 'Irene's' live progress here. See you in London on the 19th of May!